Mulgi Sheekli, Pragati Zaali. A former saying in Marathi which means if a girl educates herself, Progress is evident – this has always held a powerful meaning then and even now. In today’s time, a woman’s excellence is paving its way into the hearts of millions, as a source of brilliance. Coming across, we have read a lot about many young women, who have set an impactful example in our society for being a distinctive achiever in their respective field. 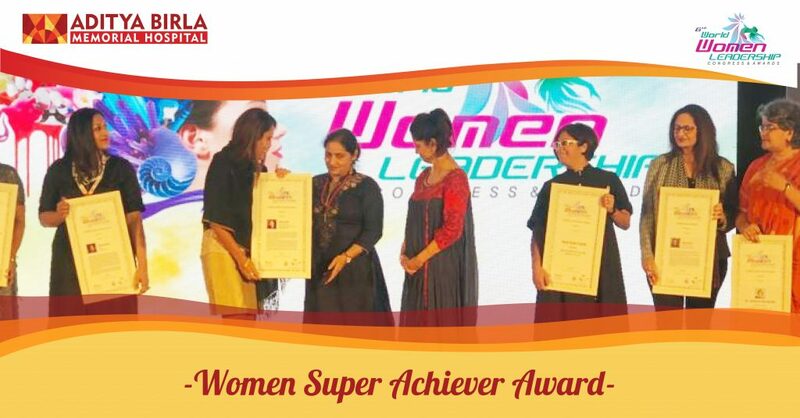 Having studied hospitality management and holding eighteen years of experience in the healthcare industry, Ms. Rekha Dubey has been felicitated with “Women Super Achiever Award” by 6th World Women Leadership Congress & Awards for her exceptional leadership and management qualities. Her professional journey began in the year 1999 by working in India’s Pioneer Healthcare, Apollo Hospitals Group in Delhi as a management trainee. Post six years of work experience, she joined hands with Aditya Birla Memorial Hospital as an Assistant Manager. Aditya Birla Memorial Hospital. An upward scale towards the management of this hospital, per se is a big achievement for her. Her journey to success has been a memorable one. A Voice of applaud for this inspiring woman who gives us a message; that you are the Leader of your life. That you should create your own alleyways, set the goals you wish to achieve and get set going on a race that lifts you up by lifting others.